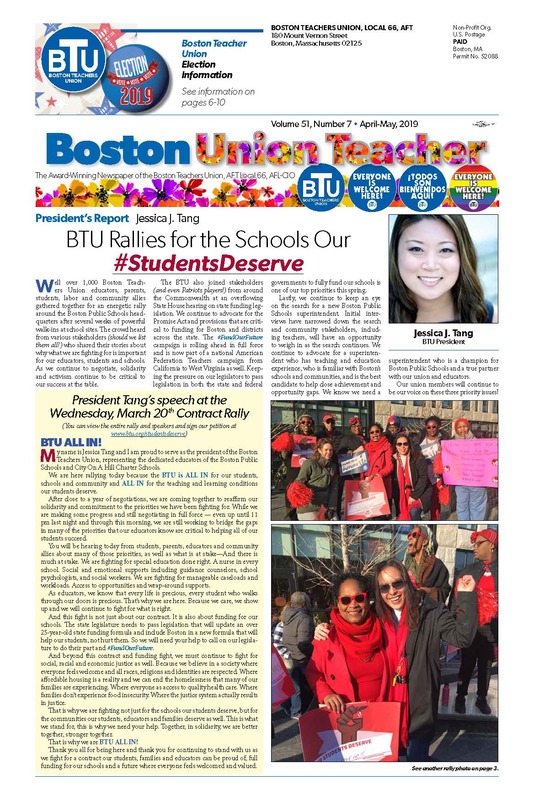 The Boston Union Teacher newspaper is published monthly. In the 2009 AFT Communicators Network Communications contest, the newspaper won seven awards, making it one of the best union newspapers in the country. It is mailed to all members, including retirees. How do I interpret the BPA seniority list? Michael Maguire and Garret Virchick are the Co-Editors of the Boston Union Teacher. Reach them by email at mmaguire@btu.org and gvirchick@btu.org.